Table Confetti - Oh Baby! 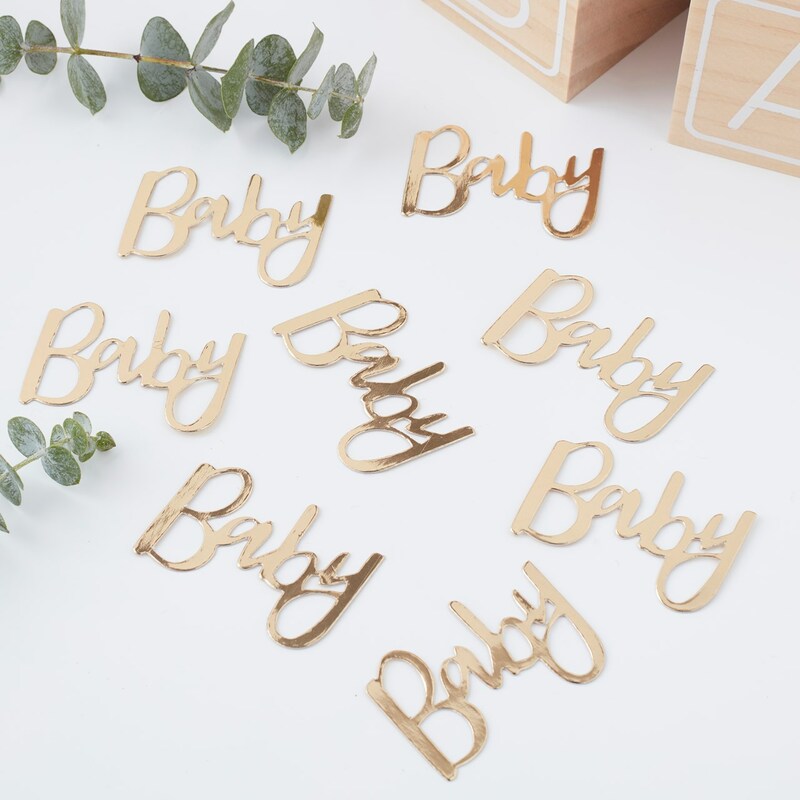 Sprinkle this special ""Baby"" gold confetti around your venue for a stunning finishing touch. The cutest confetti - the gold finish will shine away and make your party sparkle! The adorable confetti says ""Baby"" in gorgeous scripted writing with a shiny gold finish. Sprinkle around our oh baby cups, plates and napkins for a special baby shower. Each pack contains 14g of confetti measuring 3.5cm (H) by 5cm (W).